John Mattone is a best-selling author, the world’s #1 authority on Intelligent Leadership and one of the world’s most in-demand CEO coaches and leadership speakers. Recently, the research organization Globalgurus.org recognized John Mattone, along with Marshall Goldsmith and Tony Robbins, as the top three coaching authorities in the world. He was also named as one of eight finalists for the prestigious 2017 Thinkers50 Leadership Award recognizing the world’s top leadership authority and thinker. In 2013, John was awarded the coveted Master Corporate Executive Coach (MCEC) certification from the Association of Corporate Executive Coaches. He was then honored with the prestigious 2015 International Executive Coach Thought Leader of Distinction Award, in recognition of his thought leadership and his work as a global leadership coach. With the award, he received an honorary lifetime MCEC, becoming one of only four global executive coaches who currently hold this certification. In 2015, John Mattone’s Intelligent Leadership was named one of the three Top Advanced Leadership Development Programs that Change Lives, along with programs by Tony Robbins and John Maxwell. Since June 2017, John’s executive coaching blog has continued to be ranked the #1 executive coaching blog in the world by Feedspot. His leadership blog, likewise, is recognized as one of the best in the world. John Mattone’s Intelligent Leadership (IL) Executive Coaching Process is a 6 to 12 month “immersive” leadership and personal growth journey that unlocks and unleashes a leader’s full potential so they truly become the best leaders and people they can be. John Mattone and his unique coaching process and mastered blueprint (which he certifies other global executive coaches in), achieves this by igniting and strengthening a leaders inner-core and outer-core, which enables the leader to realize 4 “game-changing” outcomes that they can leverage as leaders in their business and life: altruism, affiliation, achievement, and abundance (The 4 A’s). The 4 A’s are the seeds to achieving sustained greatness and creating a lasting legacy. John Mattone appearing as a guest on Passion Sundays, one of the highest rated shows in Dubai. John Mattone is the creator and master of the unique, powerful and game-changing Intelligent Leadership Executive Coaching blueprint for success, which is accredited by the International Coach Federation (ICF). Since 2010, John has used this blueprint having personally coached over 250 leaders, including 25 global CEO’s to help them become stronger, more effective and vibrant leaders and people. John Mattone is the former executive coach to the late Steve Jobs and the former legendary CEO of PepsiCo, Roger Enrico, who sought John’s advice after his PepsiCo days in helping him transition as a coach and mentor to young leaders. John is the creator of John Mattone University (JMU), which features the Intelligent Leadership Executive Coaching Certification Program, as well a series of award-winning virtual and online leadership development and HR certification programs including the recently released iNtelligent Leadership (iL) Virtual Coaching App. (1.0) and The Intelligent Leadership Program, recently named one of the top three advanced leadership development programs in the world. He is also the creator of a number of breakthrough leadership and culture assessments, including the Mattone Leadership Enneagram Inventory (MLEI), which served as the centerpiece of his coaching sessions he conducted with Steve Jobs, the 5 Cultures of Culture Assessment (5CCA), and the Cultural Transformation Readiness Assessment-40 (CTRA-40). Since re-launching his business in 2010, after 15 years of corporate life, John Mattone has been on a mission to help leaders, future leaders and organizations break through to become the best they can be. Perhaps the greatest testimony to John’s core purpose and the realization of his dream are his many philanthropic endeavors which include his creating an endowed scholarship fund in his name at the University of Central Florida where John graduated in 1980 first in his class with an MS in Industrial/Organizational Psychology–The John Mattone Leadership & Coaching Scholarship that will be awarded annually to a deserving Master’s or Ph.D. student who shows great promise and potential in the field of coaching and leadership. John Mattone has consistently been recognized by Globalgurus.org, Thinkers50, Forbes, CNN, LeadersExcellence, Warren Bennis’ Leadership Excellence Magazine, HR.com and many others as one of the world’s top leadership authorities, executive coaches and speakers. He also serves on the executive MBA faculty at Florida Atlantic University, where he teaches his popular Global Leadership Assessment & Development (GLAD) course. Since 2011, over 500 EMBA students have personally been coached by John as part of this 3-credit course. He also serves on the faculty at ZfU International Business School in Zurich and is a Distinguished Senior Fellow of one of leading business schools in the world, the Hult International Business School. 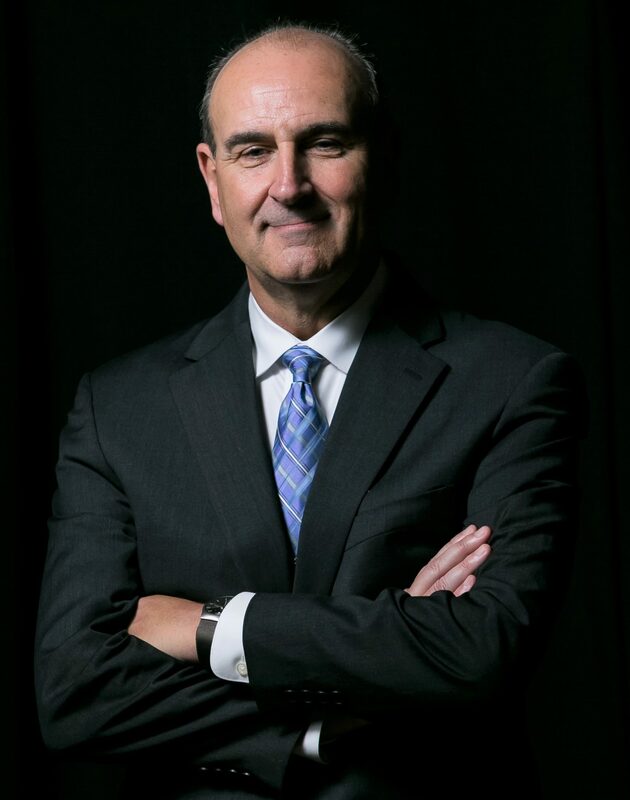 John is the author of nine books, including three best-sellers: Talent Leadership (Harper-Collins, 2012-an Amazon Best-Seller), Intelligent Leadership (Harper-Collins, 2013-an Inc. Magazine and Amazon Best-Seller) and Cultural Transformations: Lessons of Leadership & Corporate Reinvention (John C. Wiley & Sons, 2016), an Amazon #1 Best-Selling release in Human Resources and #2 in Management as well as an Inc. Magazine Best-Seller. His tenth book, The Intelligent Leadership Code: The 7 Secrets to Leading Others and Leaving Your Legacy, is due to be released in the Fall of 2019 by John C. Wiley & Sons. John Mattone is the World’s Top Leadership Coach. He had the privilege of coaching Steve Jobs. Since then, he has coached hundreds of global leaders at all levels become even better leaders and people. From 2011 to 2015, John was the co-author of one of the most respected studies of leadership and talent development in the world, The Trends in Leadership Development and Talent Management, which is published bi-annually by Pearson. John Mattone’s work has been featured by The Wall Street Journal, CNN, Forbes, Fast Company, Businessweek, Inc. Magazine, MarketWatch, The Huffington Post, The CEO Magazine, ChiefExecutive.net, CLO Magazine, CIO Magazine, The Globe and Mail, Harvard Business Review, and many other respected global news outlets. John is the founder and CEO of John Mattone-Global. Prior to this, John was the President of one of the top leadership consulting firms in the world, Executive Development Associates, Inc., (EDA) and prior to EDA he was the Vice President of Assessments for Linkage, Inc. Prior to Linkage, John was the Vice President of Sales for Drake Beam Morin, the global career and outplacement firm. Before joining DBM, John spent 10 years building his first successful consulting firm, Human Resources International. John Mattone holds a B.S. Degree in Management and Organizational Behavior from Babson College and an M.S. in Industrial/Organizational Psychology from the University of Central Florida. In his leadership coaching sessions with me, as CEO and our executive team, Mr. John Mattone provided us with a clear understanding of the principles of his intelligent leadership coaching philosophy and process, but above all he delivered various ideas, methods, and practical applications combined with his structured coaching process that resulted in me becoming a better CEO, our senior leaders becoming better and our organization becoming more effective. I like to define my Coaching experience with John as a non-intrusive journey in self-discovery. It was great to discover my development areas as a leader, but to understand my strengths and how I can use them to potentiate me as a leader. I always prided myself on the strength of the teams I have assembled and surrounding myself with great talent as drivers in achieving good things together. But, having the opportunity to work with John allowed me to get closer to my team. I learned about vulnerability and humbleness and how important they are to demonstrate as the CEO, and how they can impact performance as a team. Today, I can say that because of John’s coaching we have established a foundation to be great, to face our challenges together, and that we are a much stronger senior team. One of the things that I appreciated the most was how he structured the entire coaching process and how engaged he was. His personal commitment to have face to face sessions not just with me, but with my entire leadership team in order to get a very good understanding of the business we operate, our challenges as a team, but also of the industry we operate in. The level of comfort that I experienced working with him was amazing; but, it had a lot to do with his empathy and how well he delivers the messages and overall how he coaches.